Poor Brother Hugo can’t return his library book — the letters of St. Augustine — because, it turns out, the precious book has been devoured by a bear! Instructed by the abbot to borrow another monastery’s copy and create a replacement, the hapless monk painstakingly crafts a new book, copying it letter by letter and line by line. Brother Hugo and the Bear is based loosely on a note found in a twelfth-century manuscript — and largely on the creative imaginings of author Katy Beebe. Lavishly illustrated by S. D. Schindler in the style of medieval manuscripts, this humorous tale is sure to delight readers young and old who have acquired their own taste for books. Get to know Katy Beebe and her charming new picture book in our latest book trailer below. 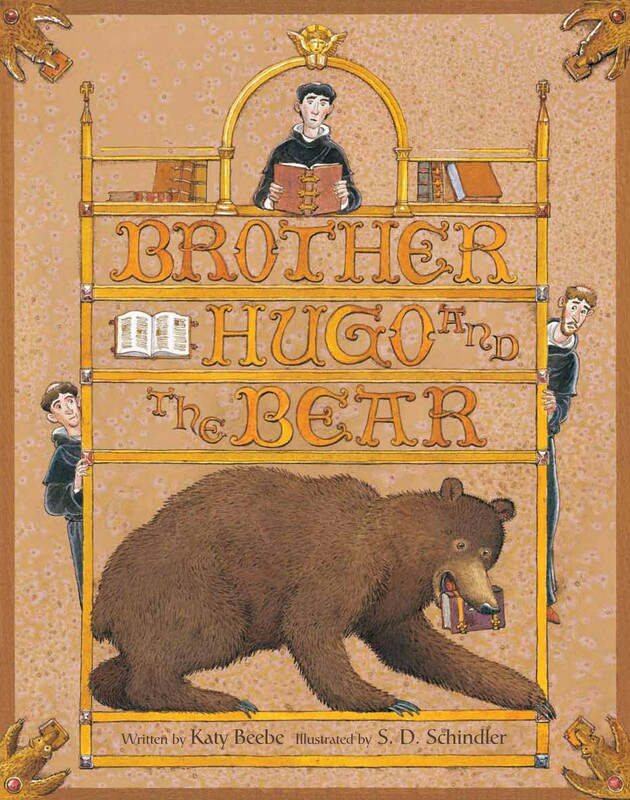 Click to read an EerdWord guest post by Katy Beebe (“A Medieval Selfie“) or to order Brother Hugo and the Bear.